We have reached the stopping point for our road trip to Cooperstown and are ready to explore. 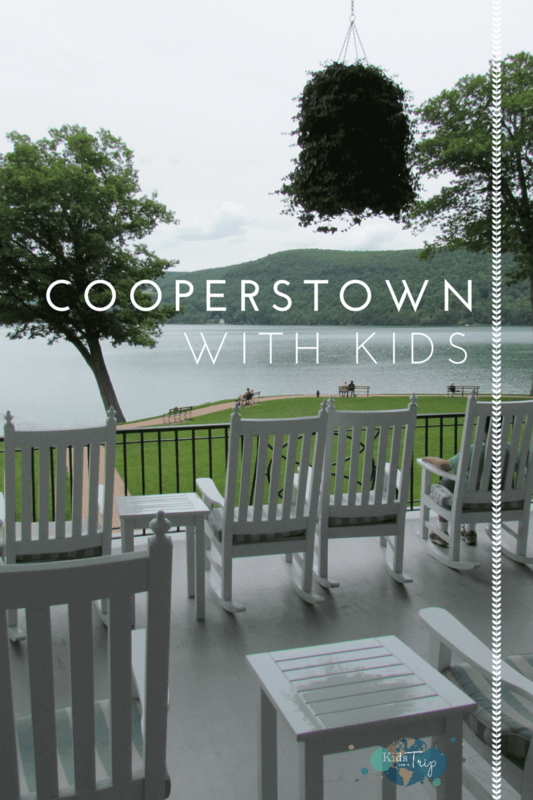 Cooperstown is a small village nestled along Lake Otsego in upstate New York. 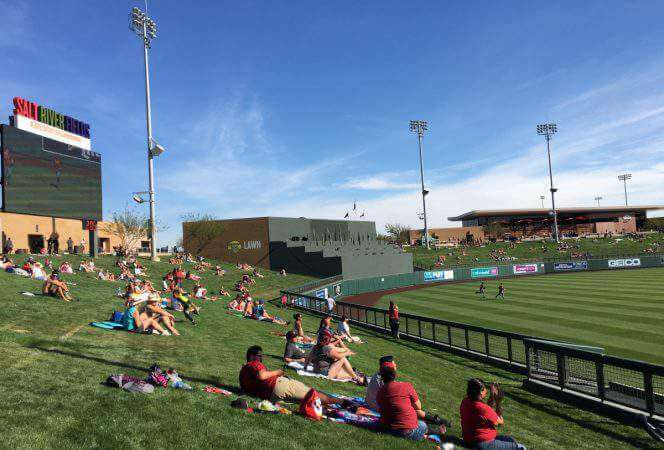 Most visitors arrive for the baseball tournaments that take place at the nearby Dreams Park for thirteen weeks each summer. Families congregate along the main street (aptly called Main Street) and filter in and out of the numerous baseball souvenir shops all day long. Thankfully, there is more to Cooperstown than baseball, you just have to know where to look. If you have been following our road trip adventure through Cleveland and Buffalo, you will know how we arrived here. We did come for baseball and ended up spending a fair time at the Dreams Park complex (which is amazing by the way). Our team ended up 4-4 and had a fabulous time both on and off the field. While our oldest was playing, we had time to tour the area, sample some of the restaurants, and do some souvenir shopping of our own. This working museum is a recreated 1840s historic village featuring a working farm, carousel, livestock, and a large collection of historic objects from rural farm life. Visitors can experience 19th century farm life as actors chop wood, milk cows, and complete tasks that would have been common during that time period. My son was able to see first hand how difficult it was to make a rope as he made one with another visitor using a crank and hook device known as a ropewalk. This was a fun place to spend a couple of hours (and you could stay there longer) as there is a ton of information to absorb and the kids loved the animals and demonstrations. The kids that play at Dreams Park get free admission to the Baseball HOF so of course their families end up tagging along. We took my parents with us and I think my dad would have stayed for two days if I would have let him. There is so much baseball memorabilia in the building, it is crazy. We spent close to two hours there which was plenty, but a BIG baseball fan will want more. Heck, my 12 year old would have stayed longer and he is not a museum fan. 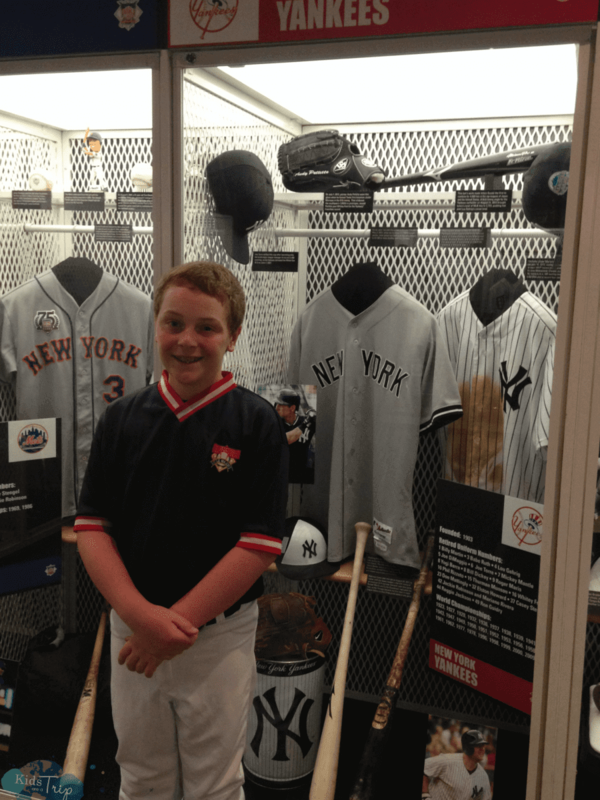 There’s a hall of inductees that’s impressive, a locker room area with memorabilia from every major league team, a Babe Ruth room, a baseball short film, and so much more. It’s endless and enjoyable. Definitely worth a visit for all ages. This 4th generation Yankees fan is in heaven! Every Saturday during the summer just off Main Street is the Cooperstown Farmers Market featuring over 30 vendors selling their wares. The market has a program with the local food bank where they give needy families coupons to use at the farmers market. Last year they gave over $10,000 to families, allowing them to add more fresh food to their diets and helping local farmers as well. This is obviously a winning combination for this community and a forward thinking idea that could be implemented elsewhere. The tomatoes, cherries, and goat cheese we enjoyed were fabulous and the kids raved about the brownies they purchased. Located fairly close to the fields at Dreams Park, this was a great place to visit between games. The place has close to 50 free food samples; from cheese to salsa, jam to fudge, cider to wine. The kids thought they were in food heaven. Outside there was a large goose and duck pond where the kids could feed the birds. Just make sure they watch their fingers! 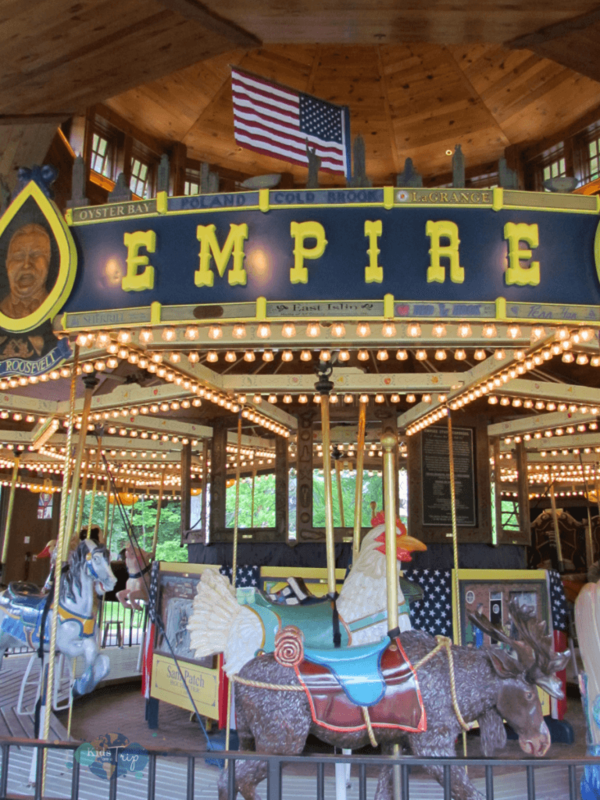 There is also a small playground, a restaurant on site, and complimentary tours of the mill. This is a fun stop for the afternoon. The main street is straight out of a Normal Rockwell painting. Brick buildings line both sides of the street filled with mom and pop storefronts selling baseball memorabilia, knick knacks, and clothing. Throw in a few restaurants, ice cream shops, Doubleday Field, a CVS, the National Baseball Hall of Fame, and essentially you have main street. Parking in town is metered during the day or you can park in one of the remote lots and take the trolley into town. The town sits on Lake Otsego and it is stunning. It is 9 miles by 1.5 miles wide, and 160 feet deep at its deepest point. 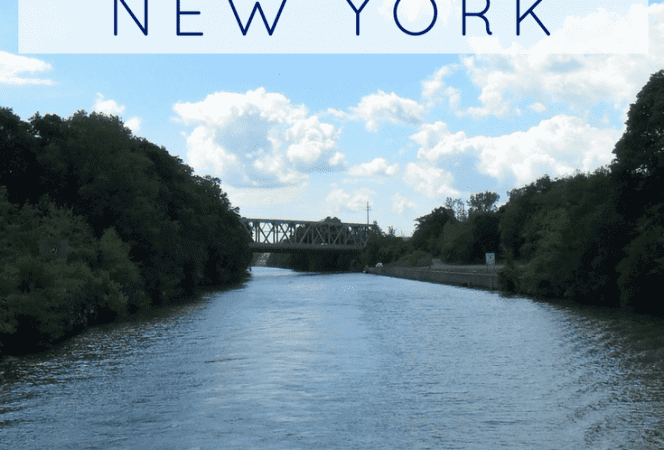 It is the focal point of the area and a great place to spend the day fishing, kayaking, riding bikes, canoeing, or swimming. There are rental companies on the lake, tour boats, and houses along the shore where you can enjoy its beauty. 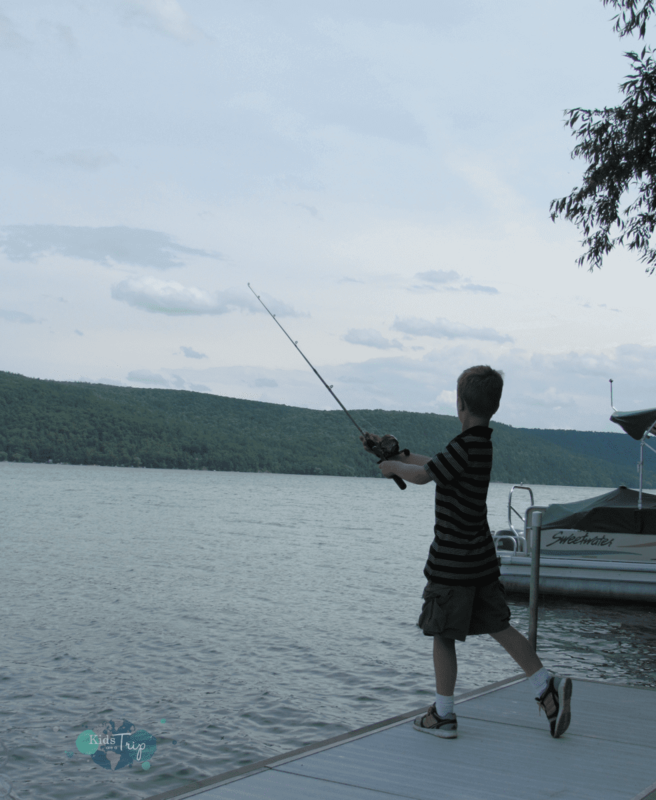 Our kids had the opportunity to go fishing (but didn’t catch anything) and swim in the lake (which they loved). The water is so tempting, its worth making the effort to explore. 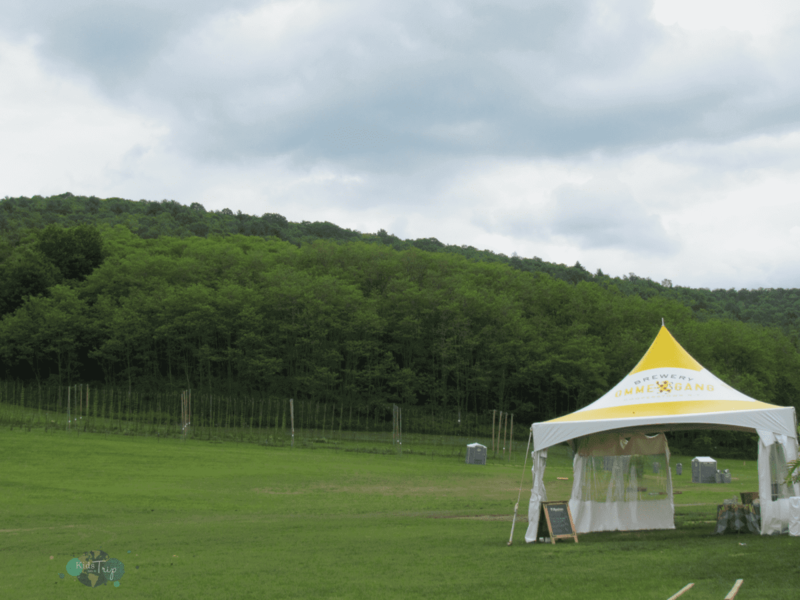 Just outside of Cooperstown and not far from Dreams Park, is Ommegang Brewery. The Belgian brewery is open for tours, but we didn’t go for the tour, we went for the food. (Although if you want to tour, kids over five are welcome). The food is a mix of small plates, burgers, and sandwiches. We ordered a sampling and shared with the kids. The food was so good (and the setting is gorgeous), we came back another day with my parents. If you are hungry, make a point to stop here for the food, sit back and enjoy the scenery, and stay awhile. I didn’t know how I would survive for a week without Starbucks, but thanks to a brewer at the house and Stagecoach Coffee, I was able to pull through. Stagecoach Coffee has some fantastic flavored coffees. I tried a sugar maple one and a mandarin orange one. Both were delicious. Unfortunately, their food items were not nut safe so we couldn’t eat there with my youngest, but their pastries looked delicious. It’s ranked number one on Trip Advisor for restaurants in Cooperstown for a reason, and I can say I’m a fan. Located at The Otesaga Resort, the Hawkeye Bar & Grill has a beautiful location overlooking Lake Otsego. The restaurant is casual and family friendly, perfect for lunch. The menu is quite diverse, offering items from fish tacos to burgers to fish and chips. We tried them all and were quite pleased with each dish. Service was a bit slow, but maybe that was so we could enjoy the ambience? Regardless, it’s a must stop for a meal while in Cooperstown. 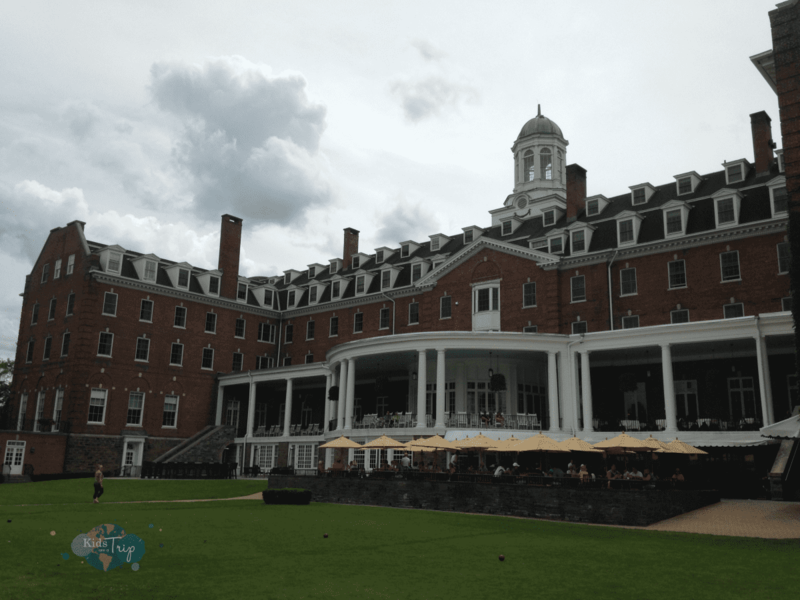 The Otesaga Resort is the grand dame of Cooperstown. With its rooms overlooking Lake Otsego, sweeping veranda outfitted with rocking chairs, and grand lobby, the resort is a throwback to a bygone era. Built in 1909, the resort exudes charm and luxury. Visitors feel welcome to explore the hotel and grounds as they wish, taking in the views of the lake from many of the hotel’s gathering spaces. My parents stayed at the resort for their last night and thought the service was impeccable, the morning breakfast (which was included in the stay) was divine, and rooms were well outfitted and spacious. Our kids spent the afternoon swimming at the pool, while we enjoyed time with my parents, and it was the perfect end to our trip. 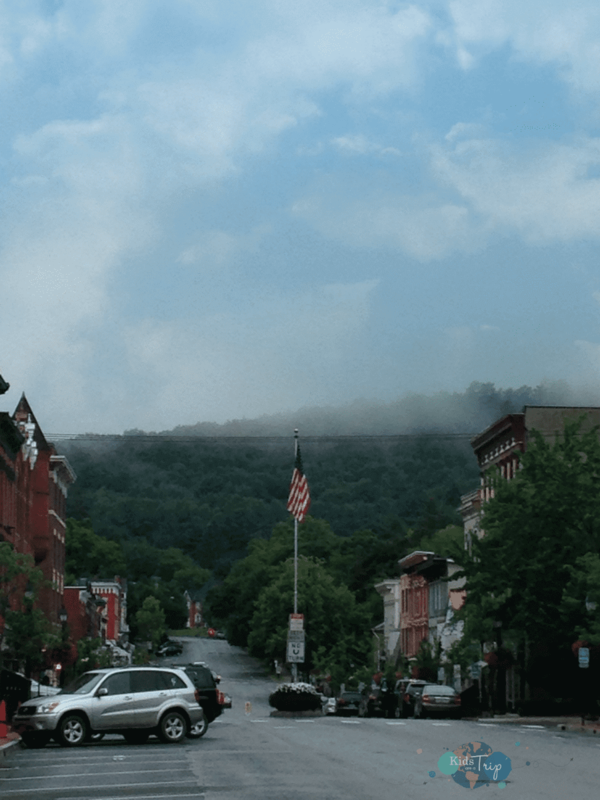 Many visitors will find houses to rent while staying in Cooperstown. They use services such as VRBO, airbnb, and FlipKey. This is a nice option for families because they can spread out and make their meals at home if they want. We rented a house through VRBO and we were very happy to have a place to call our own. While we spent a lot of time in Cooperstown watching baseball, we did have a fair amount of time exploring the town and relaxing at our farm. 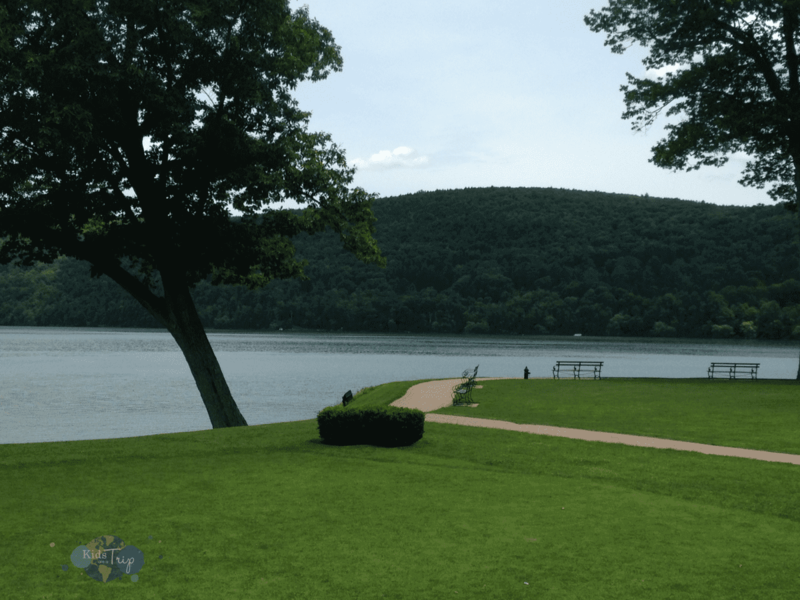 Our road trip to Cooperstown was worth the time put into planning, the many hours of driving, and the money we spent, for us to be able to walk away with the beautiful memories that we will cherish forever. Have you ever been to Cooperstown? 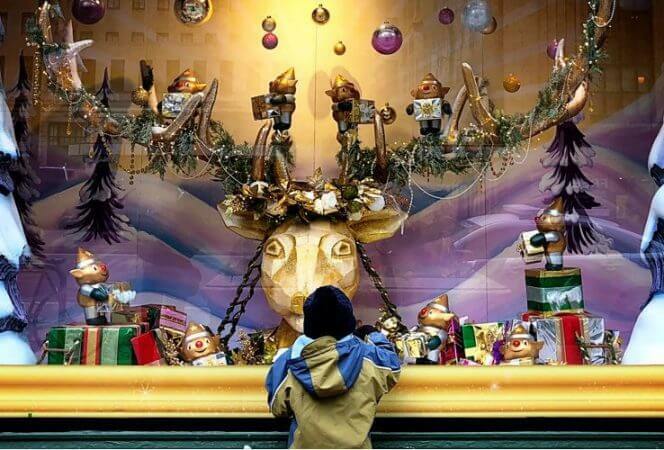 What’s your favorite thing to see or do in the village?